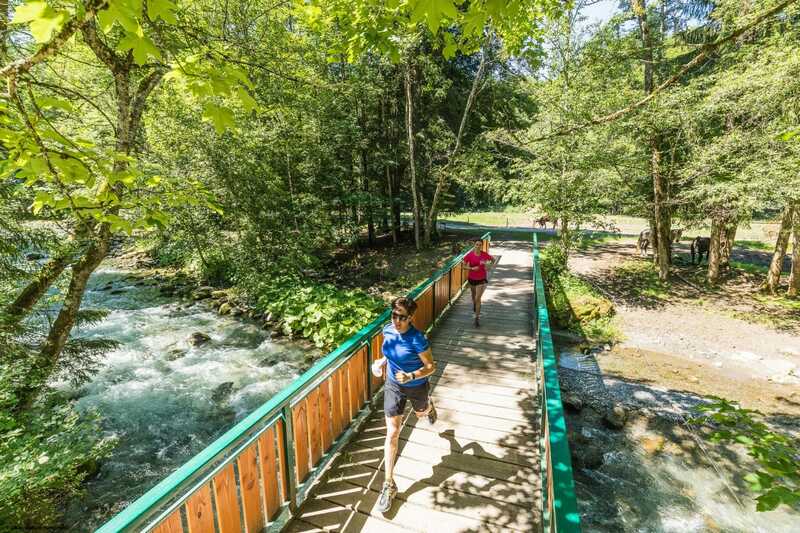 The Parc des Dérêches stretches on more than 5km in the sun, in the heart of the forest, between winding trails and rivers. Nature stretches as far as the eye can see: come and enjoy the calm and fresh mountain air! This is ideal for families wishing to organise a day full of fun and sport activities in a natural and authentic part of the resort! 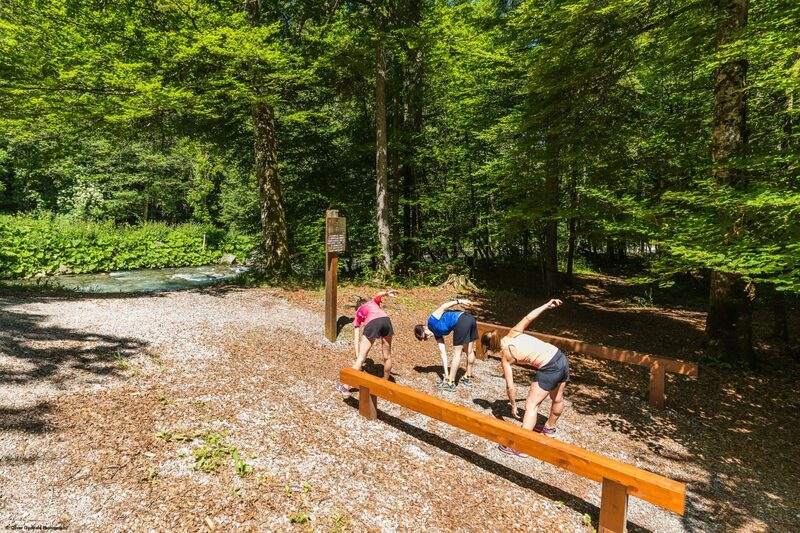 For a gentle or more vigorous keep-fit workout, the Health Trail in the Parc des Dérèches includes twenty obstacles alongside the River Dranse, over a 4-kilometre circuit. Strength, agility, stamina; a full program awaits you with educational exercises where moves and frequency are explained. The circuit is also perfect for jogging. The various bridges on the way allow to vary the length of the circuit. 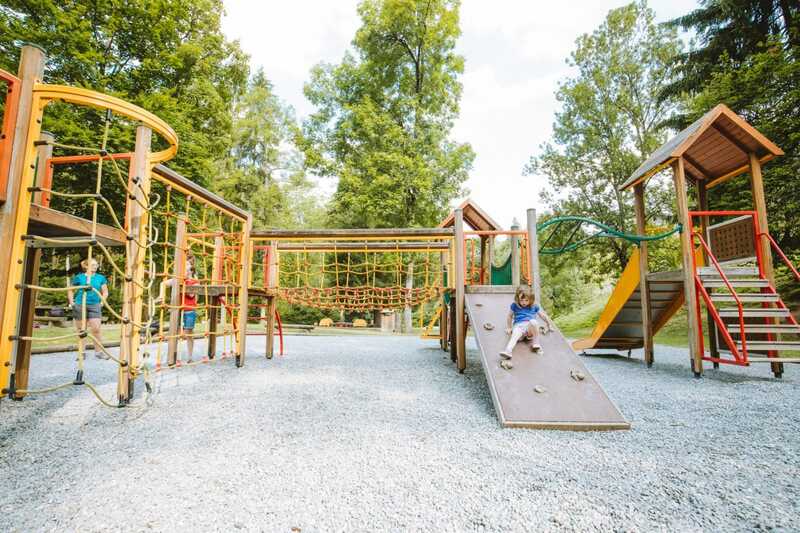 The Parc des Dérêches is also the perfect place for a family walk or bike ride in summer or winter, as the ground is relatively flat. The trails are well maintained and pushchairs are welcome. Access to the park is free all day.